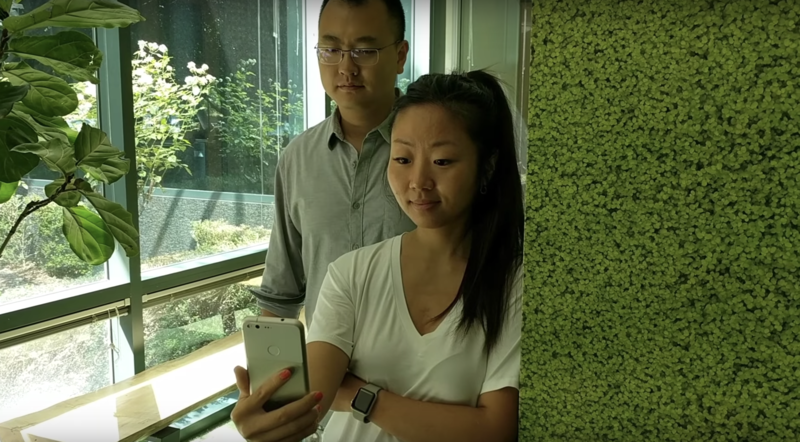 In an unlisted video unearthed by Quartz, the research team is seen testing what they call an 'electronic screen protector,' which uses artificial intelligence to detect an unwanted set of prying eyes in view of the phone. In the demo, the phone switches from Hangouts almost immediately to warn the user that a "stranger is looking." Apparently, the response time is just two milliseconds, due in part to purely on-device processing. It's not clear at which stage the project is, but the team will be presenting it at next week's Neural Information Processing Systems conference in Long Beach, California. It's easy to see how this could be used for extra privacy when viewing sensitive material on your phone. At the same time, I wonder how it would deal with someone wearing shades. And what if you stand just out of the field of view of the camera? Let's hope we learn more soon.